We transformed this tired three bedroom apartment into an elegant and bright home. The space was changed to accommodate a large master suite with walk in wardrobes and a wonderful shower room. The open plan living space flows seamlessly and the addition of beautiful mirrored joinery completes this luxury apartment. This beautiful house had not been a home for a long time. My Clients wanted to turn their weekend house into a family home for them and their three children. We renovated the entire house and all of the original features. In addition we also put in a new indoor swimming pool and spa and renovated the Boat House. Our client inherited this house and wanted it fully refurbished and a new basement added to maximise the value before selling it. In the basement we created a large kitchen and utility, a sitting room and dining room with stairs up to the garden. We also modernised and re-configured the rest of the house to turn it into a luxury home. My client bought this Penthouse from Barratt Homes and we convinced him to buy it as a concrete shell rather than the Barratt design specification. We installed wood panelling on all the walls and put in limed wood flooring throughout, turning it into a light and airy home. We also sourced beautiful French and Scandinavian furniture, paintings and soft linens. Our Client bought this property to rent out as an investment. We stripped out and renovated this tired apartment and turned it into a luxury two bedroom property within 8 weeks. The rental increase was dramatic. The Staithe - Chiswick - Total refurbishment of a three storey town house. Selwood Terrace, London SW7 - Total refurbishment of a four storey town house. 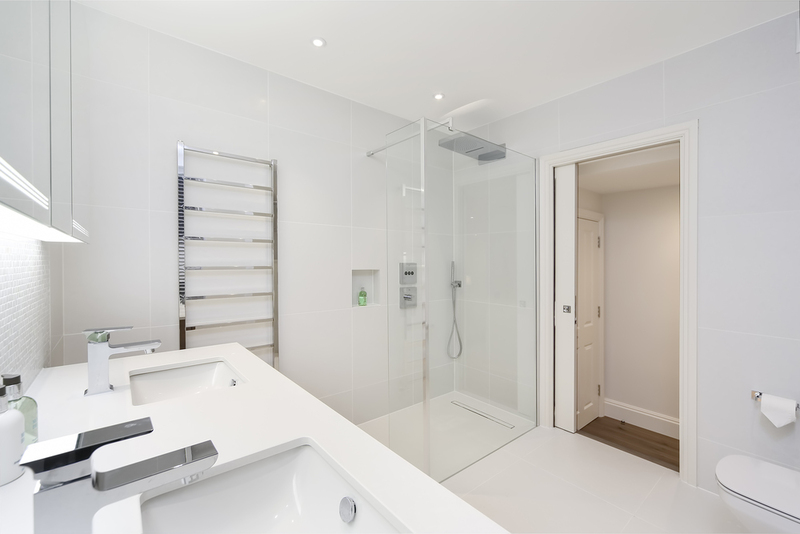 Collingham Gardens, London SW5 - Total refurbishment of a two bedroom rental investment flat. Huntsmore House, London SW5 - Total refurbishment of a two bedroom rental investment flat. Queens Gate Terrace, London SW7 - Total refurbishment of a two bedroom rental investment flat. The Apartment, Brussels - Interior Design styling, furnishings and fitting of a three bedroom city apartment. The Old Vicarage, West Sussex Coast - Redecoration of three bedrooms and three bathrooms.